We all know the stereotype of security guards. In fact, we can picture it pretty easily. A guard in an ill-fitting uniform, splayed across a chair on the edge of falling into a nap. 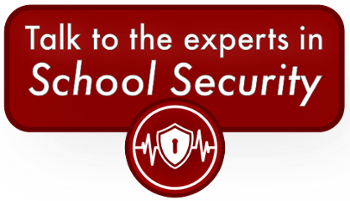 If it’s really that bad (or close) at your school, go here to learn more about Joffe’s security program and how it could be the perfect cultural fit. Having your security guards become CPR-trained will have a multitude of positive effects. First of all, it never hurts to have more people capable of performing CPR if necessary on your campus. An incident that requires the use of CPR can happen anywhere at anytime, and circulating guards will be ready to jump into action if called upon. The American Heart Association notes that CPR performed in the minutes immediately after a cardiac arrest can double or even triple the rate of survival. A constant message we at Joffe hear from our partner schools around the country is the struggle to incorporate security companies and guards into their community. The end result? High guard turnover, and much of a school’s limited energy directed towards re-training guards about campus-specific information and practices. If you’re tired of learning new names over and over again, CPR training guards is a step in the right direction. It demonstrates to them that this job is important and that their contributions to your community are valuable (always be thinking of new ways to show this), and also sends the message that there is room for personal advancement in their position. Finally, finding ways to cross-train and give responsibility to guards beyond just sitting in a chair waiting for something to happen will eliminate the bane of the modern security guard. I’m speaking, of course, of the desire to stare at their phone for eight hours and then go home. We’re all guilty of spending too much time on our phones, but as a symbol of your protected community, security personnel simply can’t be seen on their phones. Anything you can do to make guards feel more involved and important will help minimize the amount of time they spend staring at screens. This may be more than just CPR cross-training. Involve guards in your school, and watch them give it the respect it deserves. Find ways for them to see the value they can bring (anything your school needs that isn’t being handled appropriately) and they will reward your confidence. We might be biased, but we think Joffe guards are the kind of individual you want involved in your school community across the board. Learn more about our perspective on security by checking out some of our other articles on the topic below. If you liked this idea and want to train your security team in CPR, follow this link to our partner organization, Get CPR Done. They'll teach anyone CPR! What Equipment Do Security Guards Need? Yep, we're pretty proud of the guards we provide for our partner schools. Check out the button below to learn more about what we look for when building a security team.